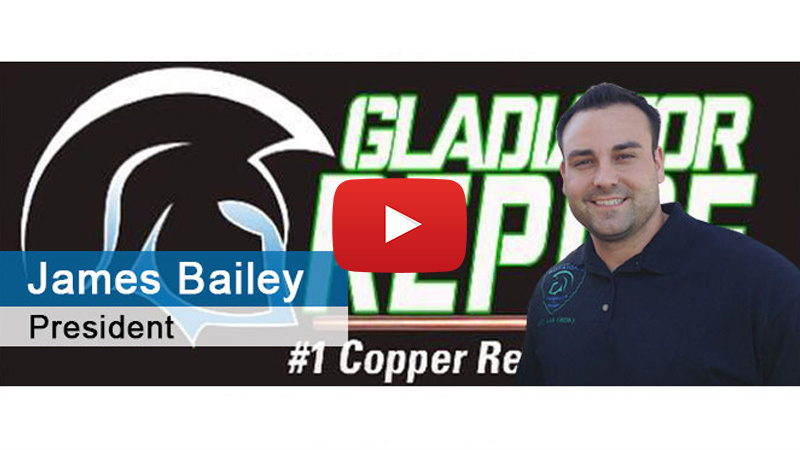 Gladiator Repipe in San Jose has perfected the art of copper repiping. We have hand-selected the finest plumbers and pipe sweaters in the Bay Area in order to bring you the best possible copper and PEX repipe systems available. Gladiator Repipe uses only the highest quality, American-made copper piping materials that will last your home a lifetime. Imagine repiping your house and NOT every having to worry about it again! Gladiator Repipe provides a 50-year manufacturer and Lifetime workmanship warranty on all repipes performed. 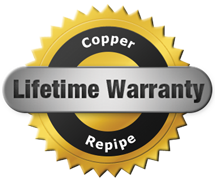 We have narrowed copper repiping down to a science in order to provide the maximum amount of savings to our customers, while maintaining the highest quality. 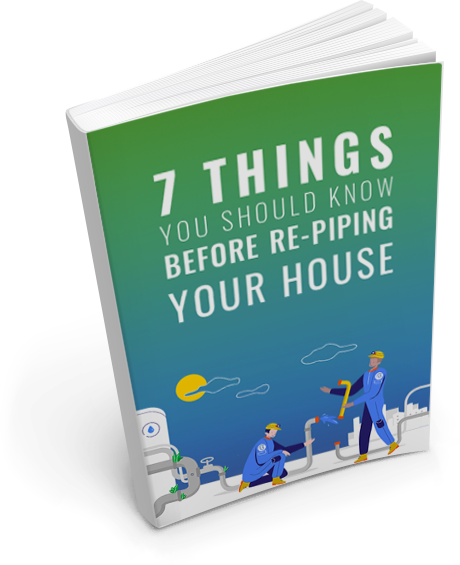 We can repipe almost any home in just ONE DAY! One-day service repipes are our speciality and provide for the least inconvenience and interruption to you and your family. Looking for a copper or PEX repipe? Make sure you check with Gladiator Repipe first! Call us now at (408) 649-7290 or check us out on YELP for our customer reviews! We repair or replace your sewer line without digging unsightly trenches in your property. This affordable, clean method of repair allows you to move forward without extensive cleanup or damages. Reach out now; we offer 24-hour emergency sewer service. Water heater troubles ranging from rusty water to cold showers can all be solved when you contact the team at Gladiator Repipe. We assist with water heater repair, installation, and replacement. Lower your bills and live in comfort by reaching out today. From clogged toilets to sinks, showers to storm lines, you need professionals to get to the source of the problem. We eliminate the clog and do all we can ensure the issue doesn’t come back. For a helping hand, reach out to our team now. Gladiator plumbing was recommended to us by our realtor after we moved to Los Gatos, CA. We were very impressed by their professionalism and knowledge. We had a fairly simple fix for our washer and dryer, but it did require a couple extra trips to the hardware store. He was incredibly helpful, kind, and good to work with. And his prices were fair. I would highly recommend Gladiator plumbing. These guys are the best. Rarely have I encountered a home repair business that operated as competently and professionally. We had our home repiped by Gladiator. Five guys showed up at 9 am and by 3:30, our old pipes had been removed and the new copper pipes were installed and working. They cleaned up after themselves beautifully and completely. The price was fair too and below the price I was quoted by others. They have my absolute recommendation. I Know Who To Call! I had an issue with my toilet and was referred to Gladiator through a friend. Joe came out and quickly assessed the issue (I don’t really understand plumbing so I can’t explain well). I was immediately impressed with how friendly and nice he was. He informed me it would be a simple fix and even had the necessary parts on him already! The whole matter was taken care of in no time, and was really inexpensive. If I need a plumber in the future, I know who to call! Talked to joe on the phone. Needed some work done to my newly purchased home. He recommended such type work and he came through. Great job gladiator plumbing. I will tell all my family and friends about this great service. Thanks. I had Gladiator Plumbing repipe my house and am extremely pleased with the quality of their work, their professionalism, and their willingness to communicate exactly what was being done and why. They were in and out in one day and the price was quite reasonable. I would never hesitate to hire them again.